Keith Conners was born and raised in Utah with an older sister and a twin sister. He spent his first year in school in a one-room schoolhouse in Ophir, Utah. After his appendix ruptured, his family moved to Salt Lake City to obtain better medical treatment. At 15, he skipped most of high school and went to study in Chicago. 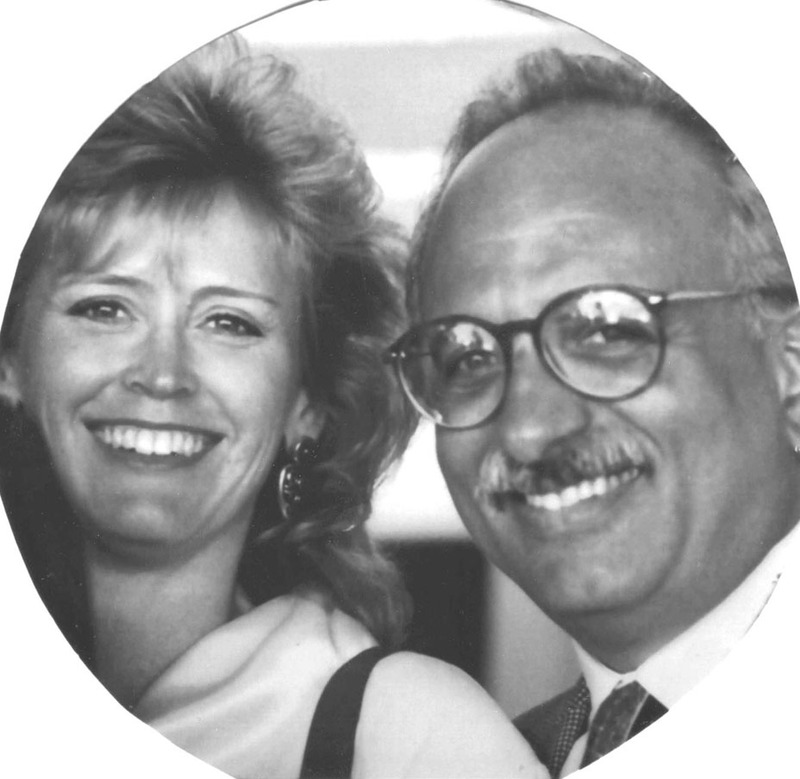 He became a clinical psychologist and founded the ADHD program at Duke University. He has done a number of studies of how foods affect attention in children, including writing a book called Feeding the Brain. Although he is retired, he occasionally lectures and consults. He also spends his time, writing, reading, and painting oil and watercolors. He credits the Rhodes experience for pointing him to psychology as his profession, as well as providing him with peak experiences that have lasted a lifetime. Q. I read that you were born in Bingham, Utah. At what age did you move to Salt Lake City? From Bingham, I moved to a little mountain village called Ophir. Ophir in the Bible was the place where King Solomon’s mines were supposedly located. It was a small town that served a large mining operation nearby called The Hidden Treasure. I lived in this canyon town until I was five. I still regard that experience as “a hidden treasure” in my growing up. It was there that I did my first “psychotherapy” at the age of four. There was a lady in her late 80s named Mrs. Howerth, who lived down the road. On the way to work, my dad walked past her house. He had to climb over a mountain about five miles to where they were mining. He did that every day and learned that Mrs. Howerth who lived on his was was there with nobody to take care of her. He suggested to me that it would be nice if I would take her a pot of soup. So I lugged a pot of soup to her little house where she had chickens, and introduced myself. She was gracious and charming, and sat in one small room with the rest of the house closed off. I sat in a chair and she started talking with me. She was very glad to have company and liked to talk about her life. She would have been one of the original pioneers in that part of the country before Utah was a state. She had a husband who had long since passed away, and there was a portrait of him that sat behind her. He was in a cowboy hat and had a red beard. She told a lot of really interesting stories about their pioneer days. I would sit there for hours listening to her tell these stories. A day or two later, I would come back and bring her some more food, or groceries, or just to listen to her stories. That was how I learned to sit still and listen for a long time to people’s life stories. It is one of my fondest memories, not only because of the beauty of the surroundings, but also because of the quiet harmony with adults who allowed us to explore freely while still feeling safe wandering through the valley unattended most of the time. I lived there until I had a ruptured appendix, when they rushed me to a hospital in Salt Lake City. I had contracted peritonitis and in those days with no antibiotics, it was a fairly serious event. 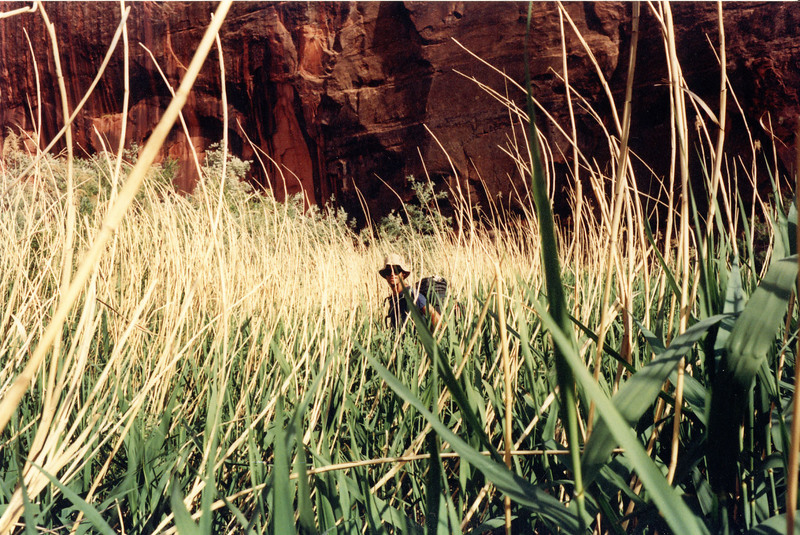 Since there was no hospital, or medical care near the canyon, we moved to Salt Lake in 1939. I remember that time fairly vividly. When I was getting treatments for peritonitis, I remember seeing headlines in the newspaper that Hitler invaded Poland. I would have been six years old. I grew up in Salt Lake until the end of the Second World War. David Carey was born in 1913 in Malaysia to British parents. For most of his elementary and secondary education, he attended boys’ boarding schools in England. When he was seventeen, his family immigrated to Canada. World War II started while he was attending Oxford University as a Canadian Rhodes Scholar. He decided leave school in order to enlist, but did not qualify for military service because of cancer. During the war, he worked for the Canadian Department of Labor. After the war, he spent about twenty-five years volunteering and working for Moral Re-Armament. 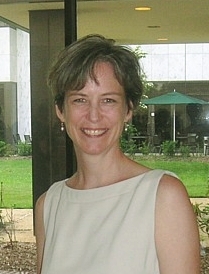 Carey worked another fifteen years as the public relations director for Up With People, a spin-off of MRA. In 1983, he retired to Asheville, North Carolina. Besides having an active civic life in his retirement, he is known for his tennis ability. He started playing tennis regularly at the age of 65 and he has won 31 USTA national senior championships in singles and doubles. He won the 2000 world singles title in the 85-age bracket and has held the number one US ranking in the ninety-year-old age group. Regarding playing in the men’s 90 division, he is quoted as saying, “Yes, there were more than two of us playing in all these tournaments!” When the weather is okay, he plays tennis three, or four times a week. 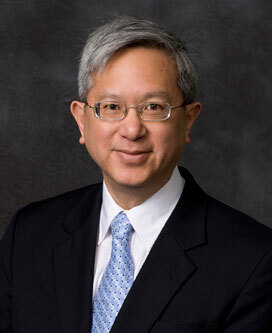 Gerrit Gong was born and raised in Palo Alto, California. He is the eldest of three siblings. Both of his parents were educators. His father was a university professor and his mother was an elementary school teacher. He has taught at Johns Hopkins School of Advanced International Studies and and Brigham Young University. 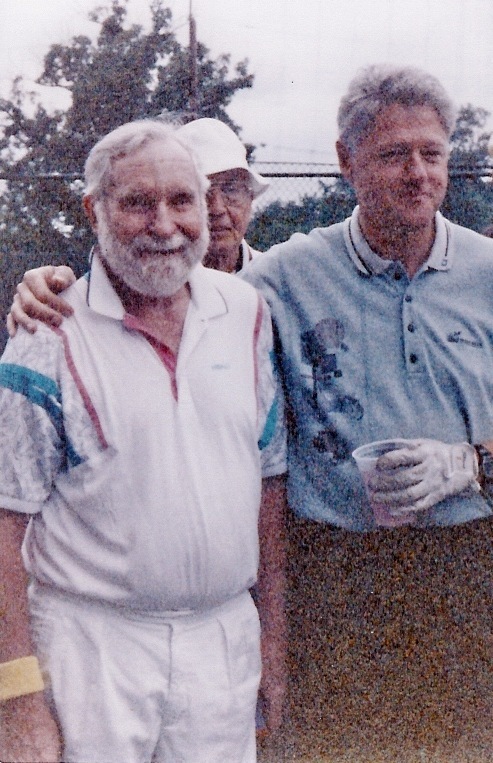 In the mid ‘80s, he worked for the U.S. government as special assistant to the Undersecretary of State at the State Department and special assistant to the U.S. ambassador in Beijing, China. At the time of this interview, he was the assistant to the president of Brigham Young University in Utah, focusing on planning and assessment. He is now a general authority of the Church of Jesus Christ of Latter-day Saints. Yale School of Architecture, 1961, M.Arch. Jaquelin Robertson is an architect and urban planner at Cooper, Robertson & Partners, a firm in New York City that he co-founded in 1988. He was born and raised in Richmond, Virginia, the youngest of three children. A short, but influential period in his life occurred at age 11 when his family lived in China for a year and a half. 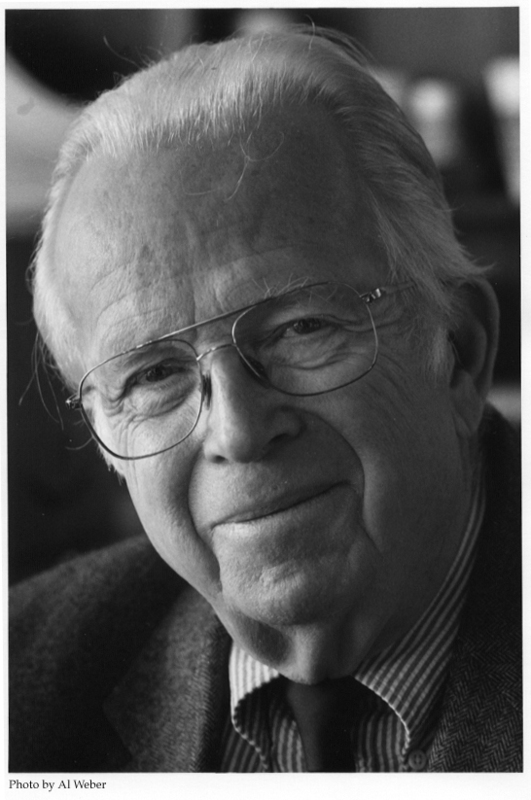 At the start of his architectural career, he was one of the founders of the New York City Urban Design Group, the first Director of the Office of Midtown Planning and Development and a City Planning Commissioner under Mayor John Lindsay. In his thirties, he spent three years in Iran directing the planning and design of Tehran’s new capitol center. From 1980 to 1988, he served as the dean of the University of Virginia School of Architecture. 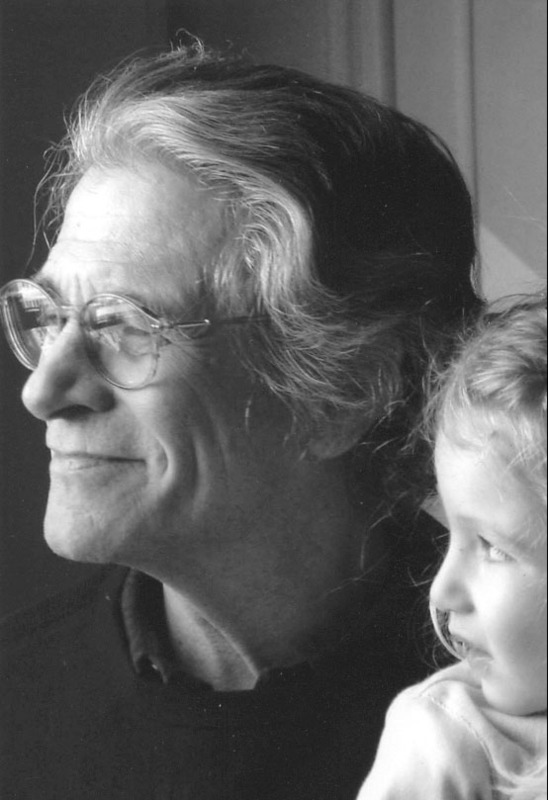 His awards include the Thomas Jefferson Medal in Architecture in 1998, the Seaside Prize for his contribution to American Urbanism and the 2007 Driehaus Prize for work in the field of traditional, classical and sustainable architecture. 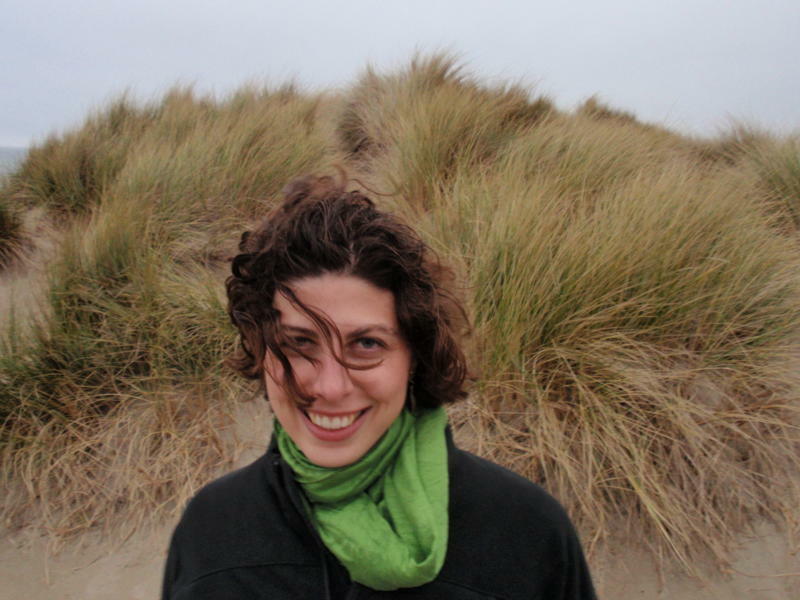 Rachel Kleinfeld was born and raised in Fairbanks, Alaska, with two brothers. In 2005, she co-founded the Truman National Security Project, a leadership institute for training progressives on national security. She is currently its president and executive director. She is also a regular contributor on radio and television programs and her commentary has appeared in numerous national journals and newspapers. She was recently named by TIME Magazine as one of the 40 under 40 “rising stars of American politics.” She splits her time between Washington, D.C. and Colorado. James J. Barnes, the youngest of three sons, was born in Minnesota in 1931. He spent his childhood and adolescence in St. Paul, except for four years during World War II when his family lived outside of Buffalo, New York. In his youth, he excelled in football and music. 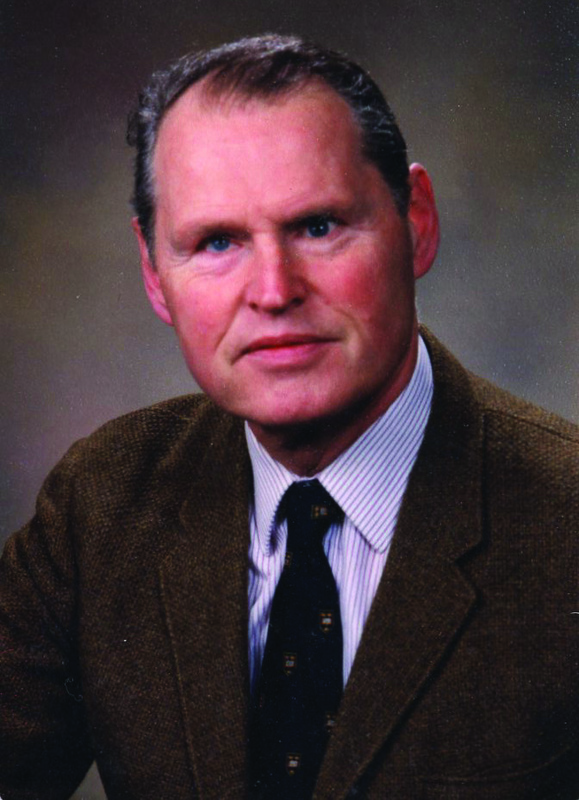 He began teaching at Amherst College, his alma mater, but since 1962 he has spent his professional career at Wabash College, where he is now a Professor Emeritus of History. His interest in British history and culture led him to collaborate with his colleague and spouse Patience P. Barnes on numerous books and articles about the American Civil War from a British perspective, Nazism in the 1930s in England, and Fascism. He currently resides in Crawfordsville, Indiana, but still enjoys summer vacations in Minnesota. United States Military Academy, West Point, 1966, B.S. 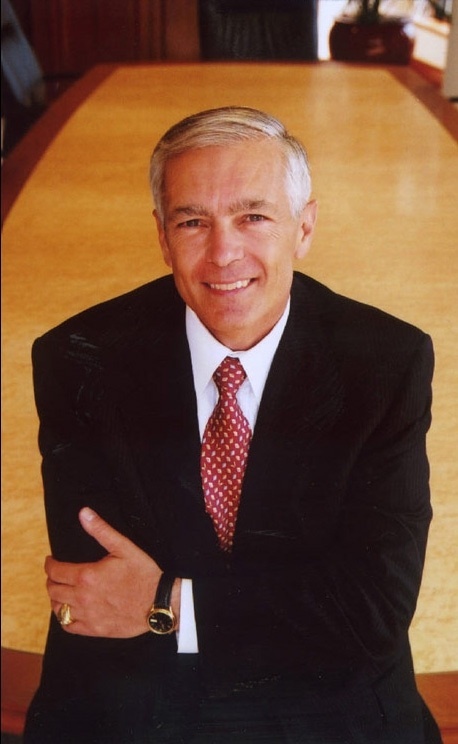 Wesley Clark was born in 1944 in Chicago, Illinois, the only child of Benjamin and Veneta Kanne, a lawyer and a bank secretary. When Clark was not quite four years old, his father died. His mother then decided to move to Little Rock, Arkansas, where Clark’s maternal grandparents lived. His mother eventually remarried in November 1954 to Victor Clark. He attended Little Rock’s public schools, except in tenth grade he went to Castle Heights Military Academy in Tennessee, because the Little Rock Board of Education decided shut down the city’s two high schools in 1958 rather than desegregate. When he returned to Little Rock for his junior year, he helped the swim team win the state championship. Even though he could have gotten a full scholarship to Harvard, Clark was set on going to West Point. He “wanted the challenge, the leadership, the outdoor life, the adventure.” And when he enrolled at West Point at the age of 17, he was entering an institution that had educated two men he admired, President Dwight D. Eisenhower and General Douglas MacArthur. He excelled at West Point, eventually graduating first in his class. Neil Smelser is a Professor Emeritus of Sociology at the University of California, Berkeley. He grew up in Phoenix, Arizona, during the 1930s and 1940s as the middle child in a family of three boys. After his time at Oxford, at the age of 26 he co-authored Economy and Society with Talcott Parsons, a renowned American sociologist. He is a former president of the American Sociological Association. 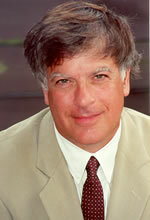 He was also the Director of the Center for Advanced Study in the Behavioral Sciences at Stanford from 1994 to 2001. 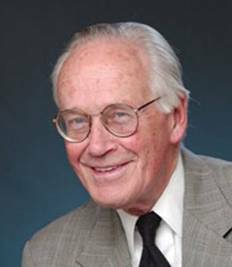 Professor Smelser is the author of over a dozen books, including The Theory of Collective Behavior. 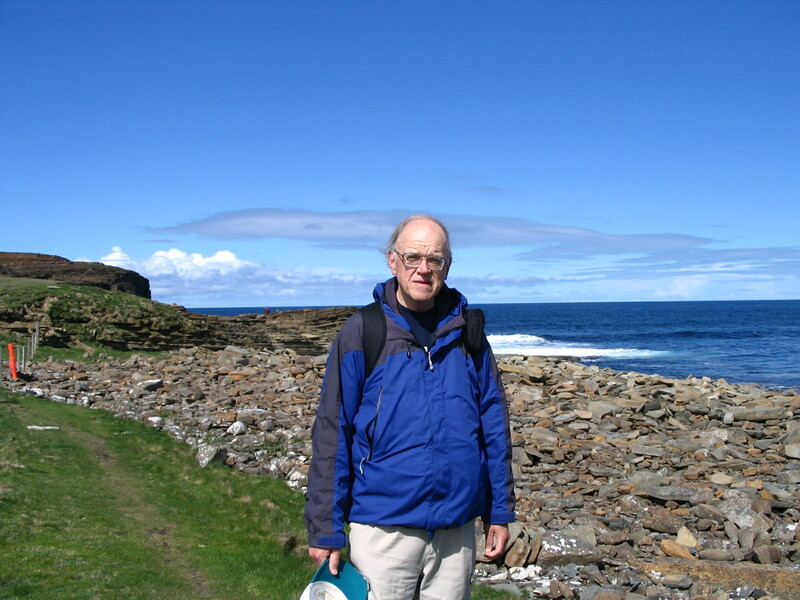 His most current publication is The Odyssey Experience: Physical, Social, Psychological, and Spiritual Journeys. It is a “very general study of taking leave from your daily circumstances and getting involved in something special.” Travel continues to remain an important aspect of his life ever since he hitchhiked all over Europe in his youth. Jeremy Dauber grew up in Northern New Jersey, the oldest of three boys. Before heading to college, he studied abroad for a year at a yeshiva in Israel. He is currently an associate professor in the Germanic Languages and Literatures department at Columbia University, where he is also the director of the Yiddish studies program and director of the university’s Institute for Israel and Jewish Studies. He has written Antonio’s Devils: Writers of the Jewish Enlightenment and the Birth of Modern Hebrew and Yiddish Literature and co-edited and co-translated (with Joel Berkowitz) an anthology called Landmark Yiddish Plays. He has also written a television and movie review column for the Christian Science Monitor. We spoke in August 2008 during the Beijing Summer Olympics. Carolyn Conner Seepersad grew up in West Virginia, where she also attended college. She was West Virginia University’s twenty-fifth Rhodes Scholar. At an early age, she excelled in math and science. She is currently an assistant professor in the Mechanical Engineering Department at the University of Texas at Austin. Clyde Seepersad grew up on the Caribbean island of Trinidad and Tobago, the second child of an attorney and schoolteacher. He was one of two students from the Commonwealth Caribbean in 1996 to be awarded the Rhodes Scholarship. Professionally, he has worked at the Finance Ministry in Trinidad and Tobago and was a principal at the Boston Consulting Group. Most recently, he was a senior vice president at Houghton Mifflin Harcourt Supplemental Publishers. He just started his own consulting firm in Austin, Texas. Harvard Law School, 1979, J.D. 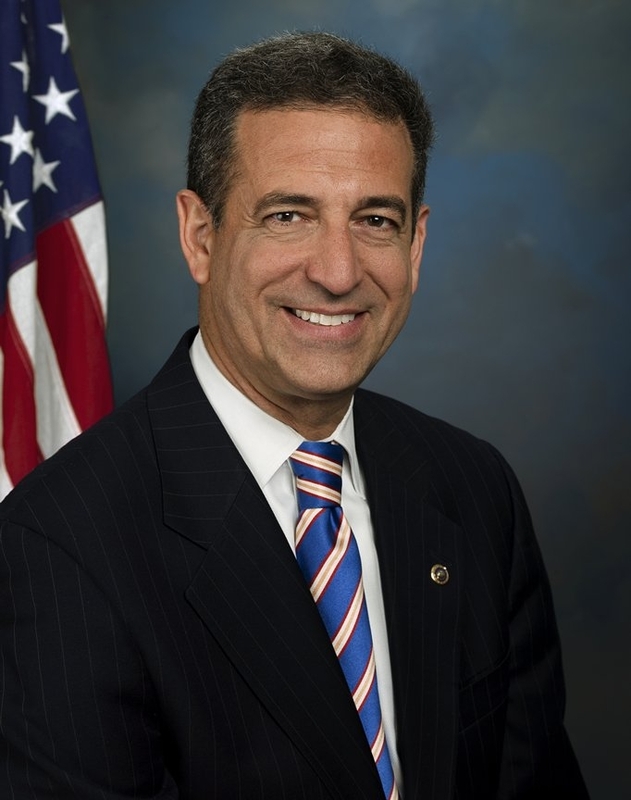 Russ Feingold is a former United States Senator for the state of Wisconsin. He was born and raised in Janesville, Wisconsin along with three siblings. His father was a lawyer and his mother was an abstractor at the title company which Leon Feingold owned. In his teens, his heroes were John F. Kennedy, Robert Kennedy, and Martin Luther King, Jr. whom he heard speak in Chicago in 1966. In high school, he was on the championship-winning debate team. Although he was not the top student in school, he was still a very good student, whom others have described as being well-organized and disciplined. After attending Harvard Law School, he returned to Wisconsin where he worked as an attorney in two private law firms in Madison until 1985. His political career began when he became a Wisconsin state senator in 1982. He was re-elected twice. Then in 1992, he was first elected to the U.S. Senate, winning 53 to 47 percent against the incumbent Republican Bob Kasten. Feingold is probably best known for co-sponsoring the Bipartisan Campaign Reform Act also known as the McCain-Feingold Act. He also stands out as the only Senator to oppose the USA Patriot Act in 2001. He makes his home in Middleton, Wisconsin. Elisabeth Köll is a Rhodes Scholar from Germany, who has studied and researched extensively in China. She specializes in Chinese business and socio-economic history and is fluent in English and Chinese and proficient in Japanese. From 1998 to 2007, she was taught modern Chinese business and social history at Case Western Reserve University in Ohio. 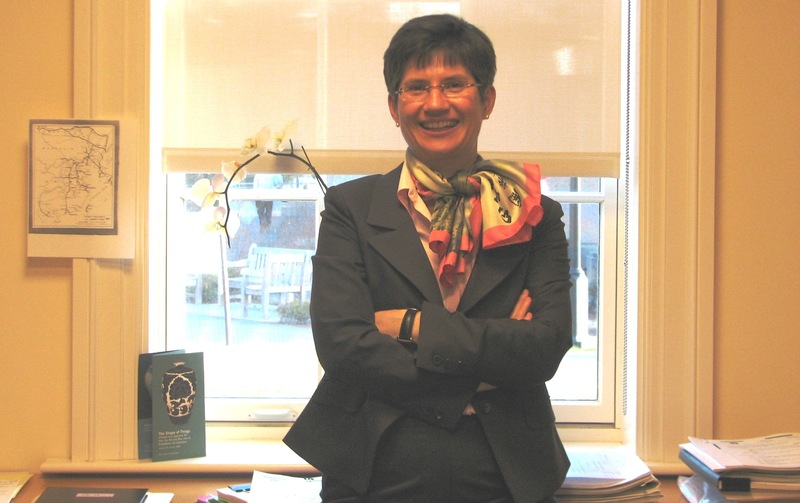 In July 2008 she joined the Entrepreneurial Management unit at Harvard Business School as an associate professor with teaching assignments related to business history and doing business in China for the elective MBA curriculum and the doctoral program. Dayne Walling was born and raised in Flint, Michigan. In addition to winning a Rhodes Scholarship, he is also a recipient of a Truman scholarship. He has worked on the staff of Mayor Anthony Williams in Washington, D.C. and for the Urban Coalition and Ready for K in Minnesota. In 2006, he moved back to Flint. One year later, he ran for mayor. He lost by only 581 votes to the incumbent in the closest Flint mayoral race in 30 years. Despite his loss, he continues to focus on the challenges the city faces. He started a citizens group called Flint’s Future Now. 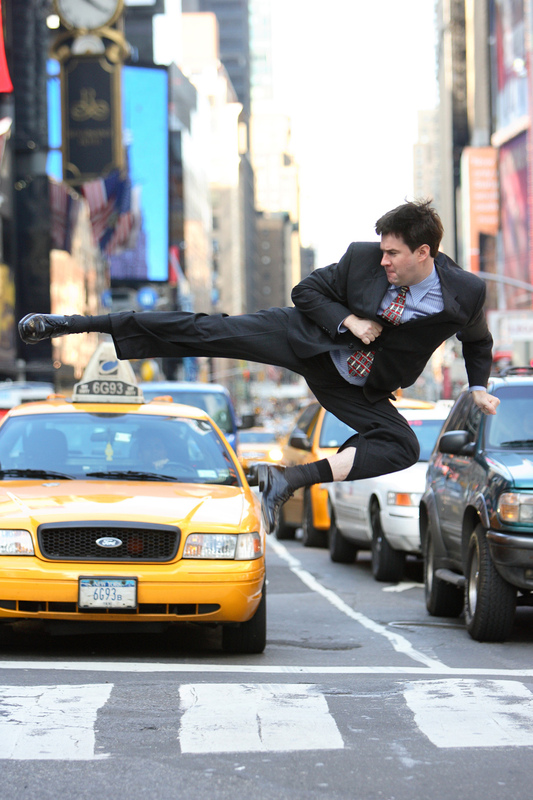 He is also the founder of 21st Century Performance, a management consulting firm. He plans on running for office again. Michael Cannon grew up in Peoria, Illinois, with one older brother. After graduating from law school, he began his career as a federal prosecutor of government corruption cases for the Public Integrity Section of the U.S. Department of Justice Criminal Division. He went on to work at several private law firms in Washington, DC. Then, in 1993 he returned to St. Louis, Missouri, where he had done his undergraduate studies at Washington University. He is currently the university’s Executive Vice Chancellor and General Counsel. He is also the uncle of Ben Cannon, who won a Rhodes Scholarship in 2000. Maggie Little grew up in Des Moines, Iowa, the youngest daughter of a computer consultant and an insurance executive. She has one brother and a sister. From on early age, she started asking the big questions about life. Her curiosity led her to pursue the study of philosophy. Most of her work has focused in some form or another on ethics. She is currently an associate professor in Georgetown University’s philosophy department and a senior research scholar at the Kennedy Institute of Ethics, a think-tank specializing in bioethics. She is also finishing a book entitled Intimate Duties: Re-Thinking Abortion, the Law, and Morality. Ford Runge grew up in Wisconsin with two younger sisters, a stepbrother, and a stepsister. 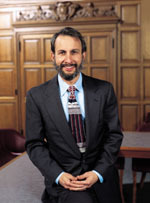 He is currently a Distinguished McKnight University Professor of Applied Economics and Law and Director of the Center for International Food and Agricultural Policy at the University of Minnesota. He also regularly contributes public opinion pieces that appear in the Pioneer Press, the Star Tribune, and the Financial Times. He also writes longer pieces. His most recent contribution is an article in Foreign Affairs called “How Biofuels Could Starve the Poor.” It is representative of the work he does, which is designed to get people’s attention. Scott Bear Don’t Walk was born in Helena, Montana, but grew up mainly in Billings. He has one older brother and a younger sister. As the middle child, he describes himself as very diplomatic, careful, soft-spoken, wary, and pleasing. He is a member of the Crow tribe. His father, an attorney, has worked with various tribes throughout his career. His mother dedicates her time to work on American Indian health issues. He is the twenty-seventh Rhodes Scholar from the University of Montana. Recently, he completed a Master’s of Fine Arts in Creative Writing at NYU, where he had the opportunity to work with writers Sharon Olds, Breyten Breytenbach, and Kimiko Hahn. He is a published poet and his long-term goal is being a writer. He is currently in the Ph.D. program at the University of Chicago at the Committee on Social Thought trying to fuse epic poetry and academics into something that matters on the reservation. Jonathan Skinner was born and raised in a classic nuclear family in Santa Fe, New Mexico. He has also lived in Mexico, England, Italy, and France. 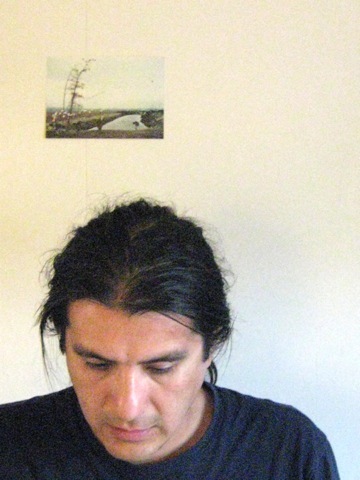 He is the author of a poetry collection called Political Cactus Poems and the editor of ecopoetics, a journal exploring creativity mainly in the written form and ecology. Currently, he is an environmental studies professor at Bates College in Maine. He teaches a freshman writing seminar that emphasizes experiential learning. His class included a climb of Mt. Adams in the Presidential Range in New Hampshire and a canoe float on the Androscoggin River. And when he’s at home, he has a view of a wild island populated with bald eagles. Yale Law School, 1964, J.D. Steven Umin grew up in the Bronx during the 1940s and 1950s as the eldest son of a lower middle class family. He has only one younger sister. He did his undergraduate studies at Yale, where he was ranked first in his class. He planned on becoming a doctor before deciding to pursue law. After law school, he clerked for U.S. Supreme Court Associate Justice Potter Stewart. Over the years, he has been involved in a wide variety of cases in civil and criminal litigation. He is currently a senior member at Epstein, Becker & Green in Washington, D.C. And since 2000, he has been a mediator for the US Court of Appeals for the District of Columbia circuit. Besides making time for art, music, and friends, he also devotes himself to the fight against multiple sclerosis. He is a member of the board of the Multiple Sclerosis International Foundation in London, England, and the Sylvia Lawry Center in Munich, Germany. Yale Law School, 1964, LL.B. 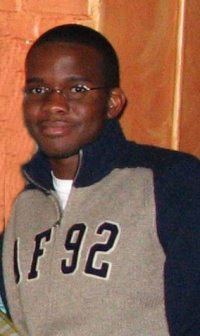 Oluwabusayo Temitope Folarin, or “Tope” as he likes to be called, was born in Ogden, Utah. He has four younger siblings-three brothers and a sister. At the age of 14, his family moved from Utah to Texas. Although he completed his undergraduate degree at Morehouse College in Atlanta, Georgia, he spent a year at Bates College in Lewiston, Maine and a semester in South Africa studying at the University of Cape Town. He also worked for an NGO where he interviewed Parliament members about including anti-child prostitution laws within the South African constitution and aided in the development of HIV/AIDS training clinics for rural South Africans. During the summer of 2004, before heading to Oxford, he was a Galbraith Scholar dealing with issues of inequality and social policy at Harvard’s Kennedy School of Government. He finished his studies at Oxford last summer and he now works for Google in London. 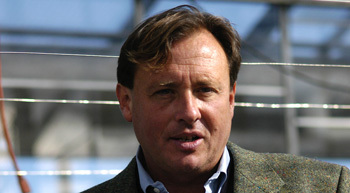 David Quammen is an award-winning writer, perhaps best known for his nature column called “Natural Acts” in Outside magazine from 1981 to 1995. His first novel, To Walk the Line, was published when he was 22 years old. He has authored three other works of fiction and seven non-fiction books, including Wild Thoughts from Wild Places, The Song of the Dodo, and The Reluctant Mr. Darwin. 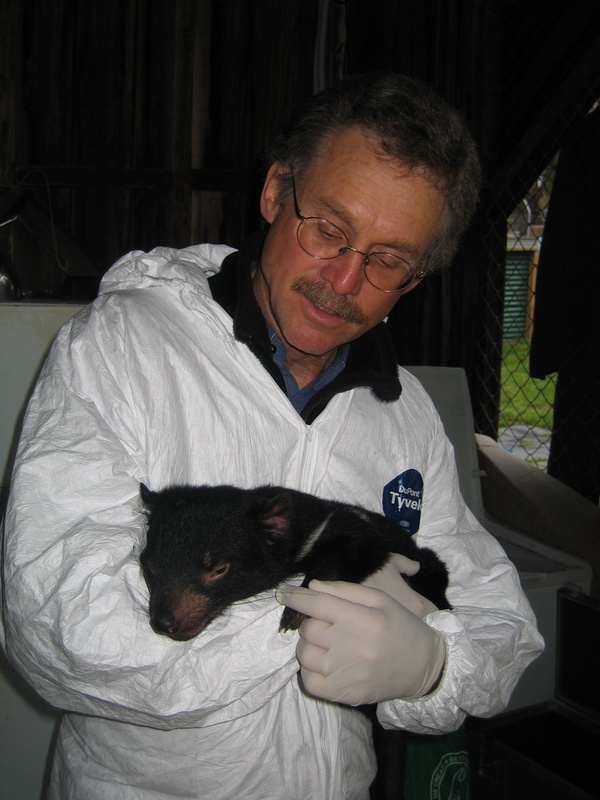 His recently published book is Spillover: Animal Infections and the Next Human Pandemic. He is also a regularly contributing writer for National Geographic. Below is the transcribed record of a verbal conversation. Neither David Quammen nor I have tried to make it read like a polished, fully grammatic piece of writing. It is what it is: human talk. Leslie Epstein spent his childhood in the 1940s and 1950s in Pacific Palisades in Los Angeles, California. He was part of a Hollywood screenwriting family. His father and uncle, Philip and Julius, wrote classics like Arsenic and Old Lace and won an Academy Award for Casablanca. He is the author of seven novels and three short story collections. His most controversial work was the novel, King of the Jews, in which he examines European Jews who betrayed their own people to the Nazis. He also wrote an autobiographical novel called San Remo Drive in 2003. For over 20 years, he has been the director of the Creative Writing Program at Boston University. Below is an hour-long talk we had while he ate lunch and cleared the dishwasher at his home in Brookline, Massachusetts. 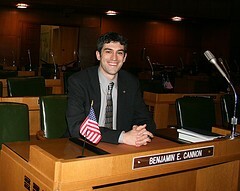 Ben Cannon grew up primarily around Portland, Oregon, but attended college in St. Louis, Missouri. At Washington University, he started as a delivery boy for the student newspaper and became its editor-in-chief his senior year. He also moved the paper on-line and created a new journalism program for freshmen. After studying in Oxford for three years, he returned to his home state where he enjoys his favorite activities like hiking, camping, and running. He currently teaches American history and civics to sixth to eighth graders at Arbor School of Art and Sciences in Tualatin, just outside of Portland. Inspired by talks with his wife, a public school teacher, and others about educational issues, he decided to run for office. In 2006, he was elected to the Oregon House of Representatives. He is currently the youngest member in the legislature. 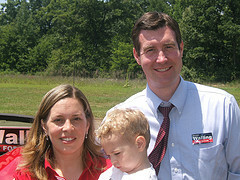 His focus is on educational, health care, energy, and environmental issues. Bonnie St. John grew up in San Diego, California, the youngest of three children of a single working mother. At the age of five, her leg was amputated, because of a birth defect. But 10 years later, after a friend invited her to go skiing, she decided to pursue competitive skiing. 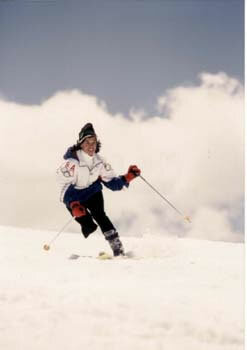 While in college, she participated in the 1984 Paralympics in Innsbruck, Austria. Despite falling after hitting an icy patch during one of her races, she went on to win two bronze medals in the slalom and giant slalom. She also received a silver medal for her overall ranking as the second-fastest female amputee skier in the world. Before becoming a motivational speaker and coach, she had a successful career in sales for IBM and was on the National Economic Council under the Clinton administration. She is also the author of three books: Succeeding Sane: Making Room for Joy in a Crazy World, Getting Ahead at Work Without Leaving Your Family Behind, and Money: Fall Down? Get Up! In November 2007, she published her fourth book entitled How Strong Women Pray, featuring interviews with Maya Angelou, Barbara Bush, Edie Falco, and others.